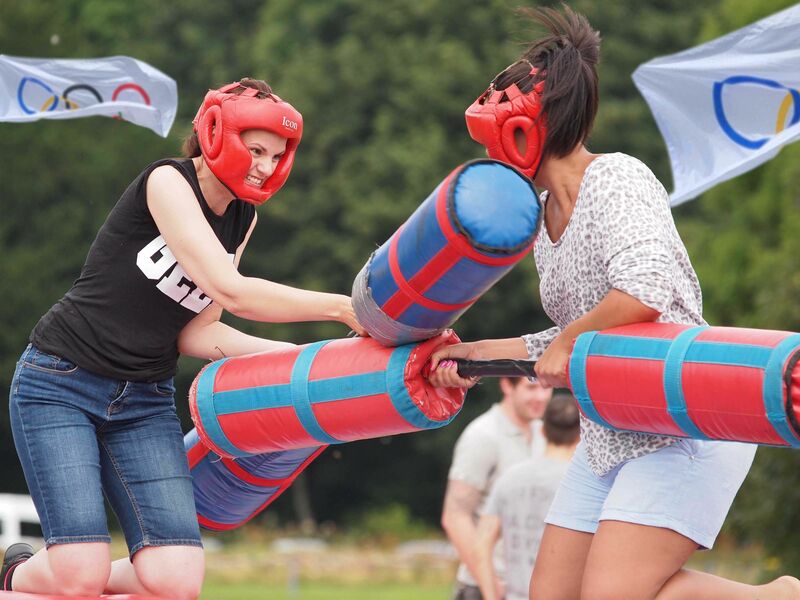 Behold… the Battle of Olympus, the ultimate motivational team building experience inspired by the Olympic games! Designed to put your strength, speed, agility and (most importantly) your team working skills to the test, this experience is filled with fun from start to finish and gets everyone competing to the best of their abilities. 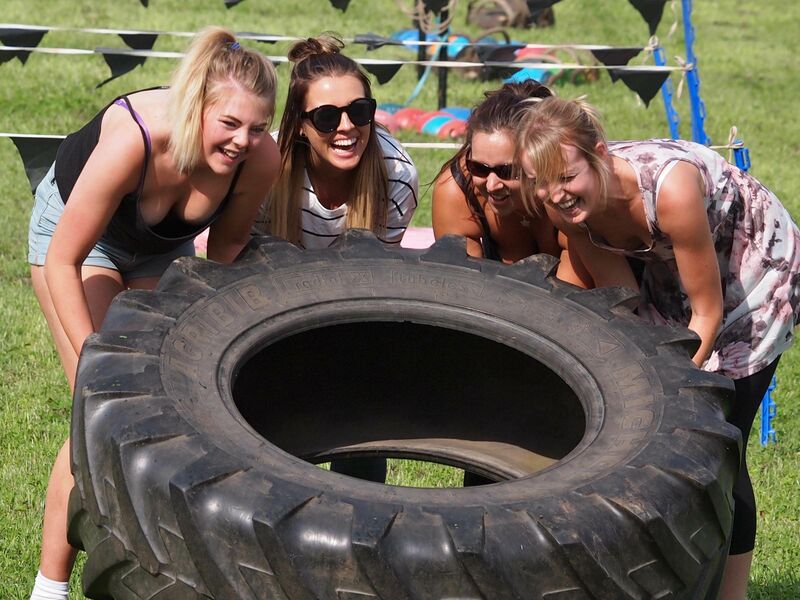 Lasting half a day, the legendary set of challenges will push everyone in your team to their limits and there will be prizes for the winning team, giving everyone something to aim for. Each team will represent a country that takes place in the Olympic games, so get ready to make your country proud! Upon arrival at the chosen location, you will be split into small groups where then each team will then design a custom flag representing them before parading onto the field in a ceremony to begin the games. 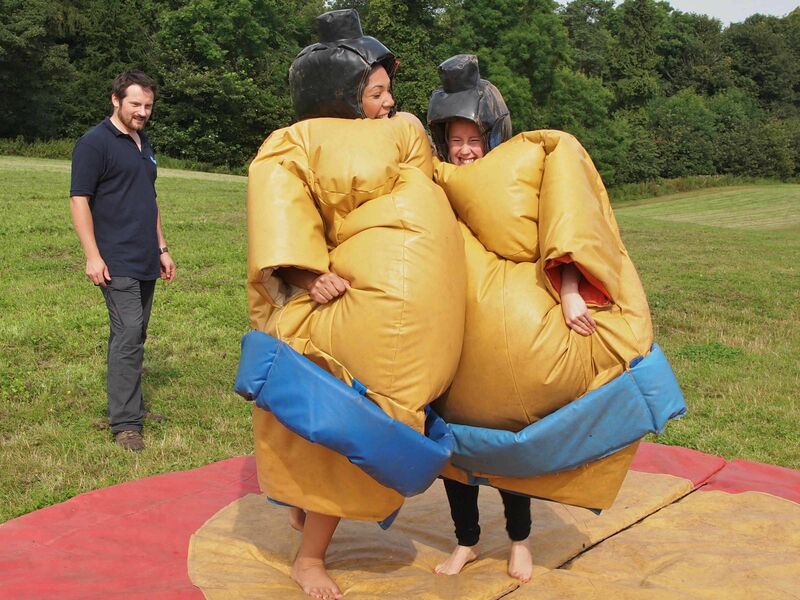 Games include long jump, giant race, sumo wrestling, bungee run, gladiator, javelin, shot putt, archery, air rifles and crossbows to name a few. The Battle of Olympus is nothing short of epic and offers limitless thrills from the word go. Every game will be a head to head challenge which means team work is a must to succeed and with every game being totally different, you can count on using a range of skills to make things fair. Be sure to wear some comfortable clothes- it definitely won’t be an average day in the office. 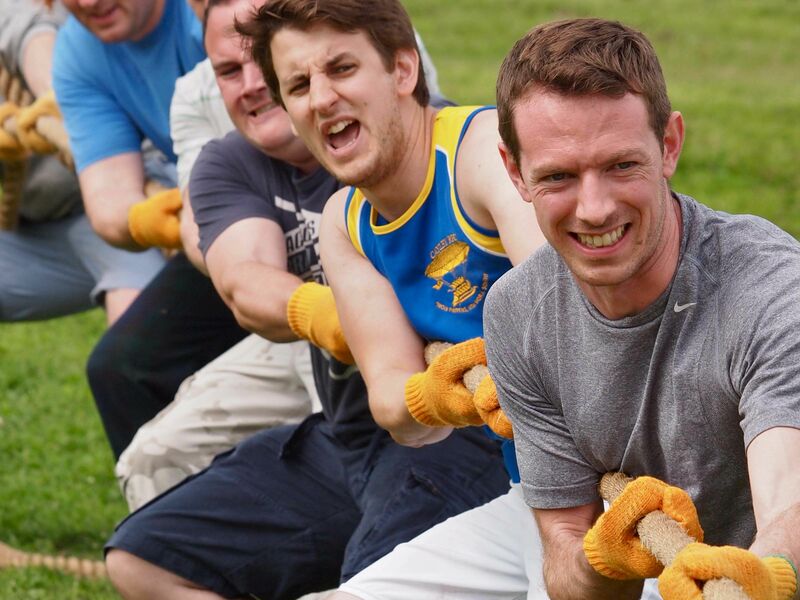 Once rotated around all the games, an intense finale will be held with a choice of either a tug of war, assault course or human table football to be played before the victors will be crowned Olympus champions and stand proud on top of the podium. Medals will be awarded for first, second and third places. We had an absolutely fab day! 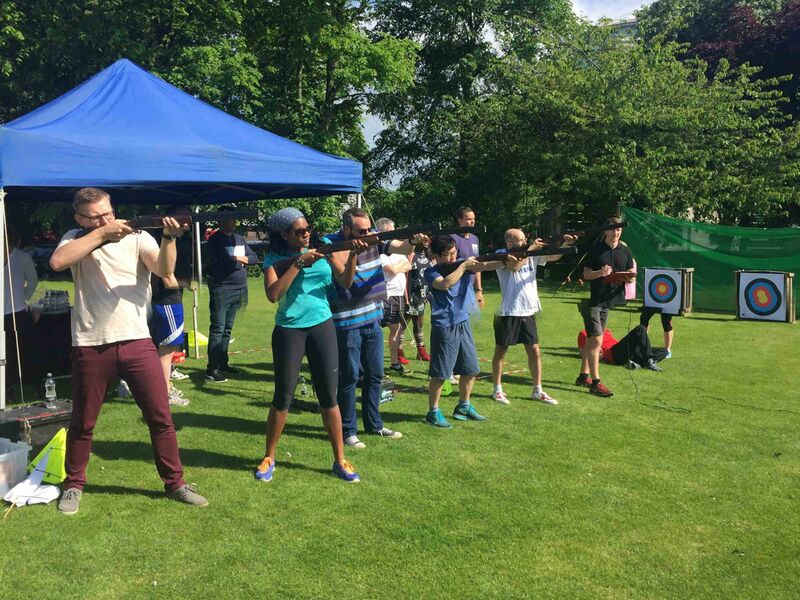 The team were really well organised and everyone seemed to have really good fun - having the sun shining really helped too! I have had excellent feedback from the team 91% of the team thought the event was Very good, everyone really enjoyed themselves and the event and the team were fantastic!! Thank you so much!